A passel of playful peas keeps it green as they experience the colorful world around them, from red kites to yellow buses to purple mountains and more! Bright and bold illustrations fill the pages of this delightful exploration of color. * "Picture-book sequels can be tricky to do well, but Baker continues to beat the odds.... Groups of irrepressibly individual legumes frolic through a rainbow of colors.... Baker employs a good balance of predictability and surprise in the text.... Simple in concept but elegant in design and execution, this title is a delight." "Baker's winsome legumes return for a third ap-pea-rance, exploring nine colors.... One charming spread glows green.... Those babes in pods are adorable." * "This delightful, energetic concept book showcases nine colors and is a worthy companion to Baker's recent titles.... Simple rhymes scan well, and listeners will soon be enthusiastically joining in the refrain.... Learning about colors has seldom been this much fun. Outstanding!" 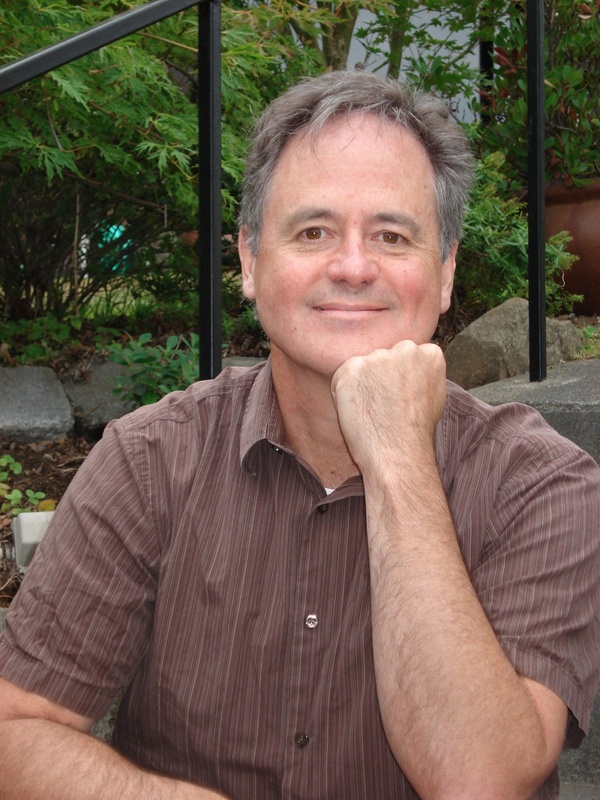 "Young ones will love learning colors with Little Green Peas, by Keith Baker.... Vibrant and intricate illustrations will keep readers of all ages engaged." Having previously played with letters and numbers in LMNO Peas and 123 Peas, Baker’s tiny legumes show their true colors (green, namely) in this entertaining companion book. Bouncy rhymes introduce nine colors: “Blue boats, blue seas,/ blue flags, and.../ little green peas.” Baker uses the page turns to create little crescendos of suspense, and the recurring answer changes just enough to keep things interesting. The color-themed spreads provide plenty of interest of their own, from a pair of autumnal “red” pages that show the peas flying kites and raking leaves to the cosmic black-and-white final spreads, which suggest that neither we (nor peas) are alone in this universe. 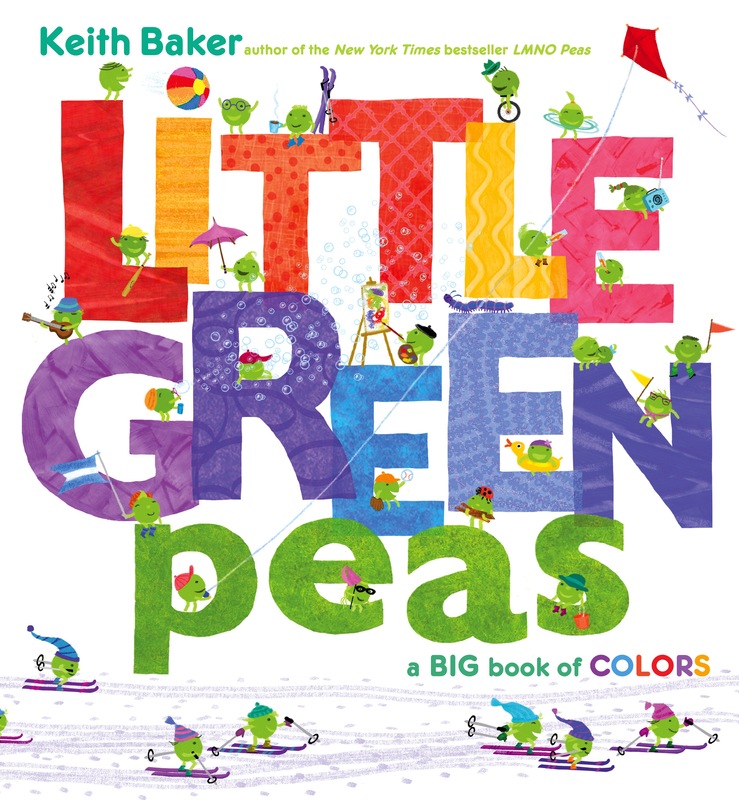 After teaching youngest readers how to navigate the alphabet (LMNO Peas) and to count (1-2-3 Peas), Keith Baker's little green heroes now introduce them to colors. A summery spread of "BLUE" kicks off the proceedings, with each letter in a slightly different texture or pattern, as well as a slightly different hue. One letter looks as if it were sponged in an aqua tone, another in an indigo shade shows subtly mazelike patterns. The text--"Blue boats, blue seas, blue flags, and..."--in thick black letters, introduces green pea sailors and flag wavers, whose props pick up on the word's diverse tones. A turn of the page completes the sentence: "little green peas." The characters swim, snorkel, build sand castles and wave from the deck of a luxury liner (as in the earlier books, a ladybug appears on each spread). An internal rhyme holds each line together, as the little green peas move into autumn ("Red fences, red trees, red kites, and.../ little green peas"), winter ("Purple mountains, purple skis, purple mittens, and.../ little green peas") and a standout for spring: "Green vines, green leaves, green sprouts, and.../ baby green peas." Readers will easily spot the babies, with each pod carefully guarded by at least one adult pea, while the gardener peas water the sprouts and sport waterproof boots, showing how to tend their offspring. Once again, Baker models a busy community of little green peas working and playing together. He ends on a humorous note for "White/Black." Read the book to discover his clever twist. The peas (from 1-2-3 Peas, BCCB 10/12) are back, and this this time they’re celebrating the world of color. Each color is introduced in huge block letters (“BLUE”) followed by a few specific examples, in rhymed verse, of things that are that color (“Blue boats, blue seas, blue flags, and . . . ”), followed by a spread of the green peas amid a landscape dominated by that color (little green peas cavort on a sand- bar in a blue ocean next to a blue ocean liner). As in the previous titles, the story stands second to the delight of poring over the highly detailed digitally rendered illustrations of the personified peas, who are doing everything from sunbathing and unicycling to hula-hooping and downhill skiing. Cool white backdrops effectively set off the juicy palette, making this a true visual feast for the eyes...viewers will...love the opportunity to borrow this one after storytime for a closer look.